Celebrated world-wide for its singular musicality, the London-based Richard Alston Dance Company, a regular visitor to our shores, returns to Peak Performances, October 30-November 2, with a triple bill of new dances, plus the duet from Richard Alston’s acclaimed 2012 hit, “Unfinished Business.” The music, mostly Britten, played live for all four dances, features special guest tenor Nicholas Phan, pianist Jason Ridgway, the American Contemporary Music Ensemble, as well as members of the Montclair State University Chorus directed by Dr. Heather J. Buchanan. The programs, which are the same for each performance, open with Alston’s 2014 “Rejoice in the Lamb,” whose fleet-footed choreography infused with alternations of wit and darkness, is set to Britten’s score of the same name. The composer wrote the score in the 1930’s after being introduced to the witty, bleak poetry of Christopher Smart, who had been confined to a mental institution for over five years. The ten dancers, each radiant with the soaring spirit of the music, are accompanied by the voices of Vocal Accord from the MSU Chorus. A major success at the 2013 Edinburgh Festival, “Hölderlin Fragments,” a plotless work for six dancers, is performed to Britten’s song cycle “Sechs Hölderlin-Fragmente.” The dance embodies the innocent ebullience and beauty of the poetry of Friedrich Hölderlin which had originally inspired the music. Nicholas Phan is the tenor, and Jason Ridgway, the pianist for the 12-minute work. “Illuminations” is set to Britten’s “Les Illuminations,” which will be played live by the American Contemporary Music Ensemble and sung by Nicholas Phan. With its fluid energy and optimistic sense of romance, the 1994 work remains one of Alston’s great classics. Rounding out the company’s programs is the duet from Alston’s “Unfinished Business,” which received standing ovations and great critical acclaim for its unique emotional and physical symmetry when it was performed at Peak Performances in 2012. It is set to the adagio of Mozart’s piano sonata, K533. The Alexander Kasser Theater at Montclair State University is located at 1 Normal Avenue, Montclair, New Jersey 07043. Tickets are $20, and are available at the box office, www.peakperfs.org, or by calling 973-655-5112. Performances October 30 – November 1 are at 7:30PM. The November 2 performance is at 3pm. Charter bus service is provided from New York City’s Port Authority Bus Terminal–arcade on 41st Street between 8th and 9th Avenues–to the Alexander Kasser Theater ($10 per person, round trip) for all Saturday and Sunday performances. Bus reservations may be made by calling 973-655-5112 or by visiting www.peakperfs.org. For train service, available only on weekdays, go online to www.njtransit.com or call 973-275-5555. 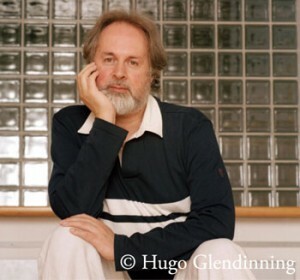 Richard Alston (Artistic Director) choreographed his first work in 1968, as one of the 12 students of the newly formed London Contemporary Dance School. On leaving in 1972, he formed the UK’s first independent dance group, Strider. In 1975, Alston went to New York to study at the Merce Cunningham Dance Studio. On his return two years later, he worked throughout the UK and Europe as an independent choreographer and teacher. In 1980, Alston became resident choreographer with Ballet Rambert and later was appointed artistic director, a position he held from 1986 to 1992. In his time there, he created 25 dances for the company and was also commissioned to create work for the Royal Danish Ballet (Kingdom of Pagodas, 1982) and the Royal Ballet (Midsummer, 1983). In 1992, Alston was invited to create a full evening of his own work, including Boulez’s Le marteau sans maître, for the Ballet Atlantique in France. He made another full evening for London Contemporary Dance Theatre at the 1994 Aldeburgh Festival, forming his own company when he became artistic director of The Place in 1994. Richard Alston Dance Company started in the autumn of that year, and over the past 18 years Alston has made almost 40 dances for the company. Commissions from other companies have included Sheer Bravado for Ballet Theatre Munich (2006), Walk through a Storm for Ballet Black (2008), and a version of Carmen for Scottish Ballet (2009). In 2011, he made A Rugged Flourish for New York Theatre Ballet and, in 2012, Even Song for the Holland Dance Festival. Alston recently made All Alight for Phoenix Dance Theatre, which premiered in February 2013 and has toured throughout the UK. Light Flooding into Darkened Rooms has been remounted on New York Theatre Ballet and premiered in New York in February 2013. Alston is an honorary doctor of philosophy (in Dance) at Surrey University and received an honorary MA from University College Chichester. In 1995 he was named Chevalier dans l’Ordre des Arts et des Lettres in France and in 2001 he received the CBE in the New Year Honours list. In 2008, he received, from the Critics’ Circle National Dance Awards, the De Valois Award for Outstanding Achievement. In 2009, he was appointed chair of Youth Dance England. In 2012, Alston was presented the Award for Excellence in International Dance by the International Theatre Institute. He is a trustee of the Royal Ballet Benevolent Fund.